We are out and about to film some video of the floods. SERVICE UPDATE at 1515: One lane of the M53 has been closed between #Moreton and Woodchurch This will impact on our #Wirral services. Around a hundred houses have been flooded as a river’s burst its banks because of the heavy rain in Moreton on the Wirral. River levels are rising due to persistent rain this morning. River levels are forecast to reach their highest levels mid afternoon. Environment Agency: ‘We will continue to monitor and will update this message as the situation develops. ‘We are out clearing debris screens to minimise potential blockages and flow restriction. 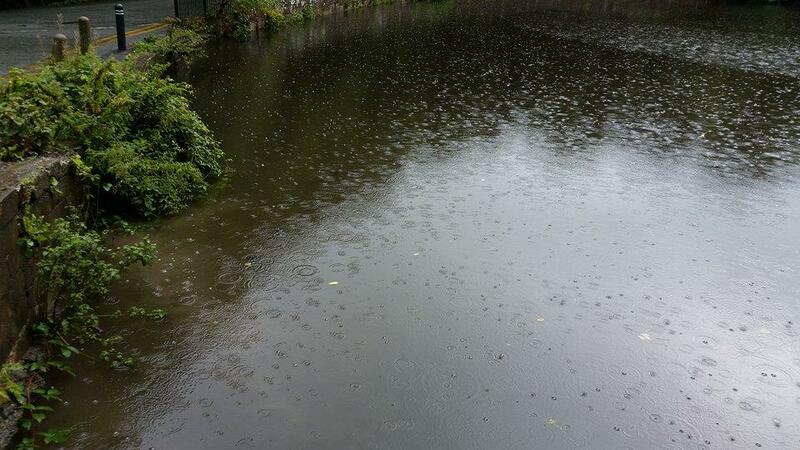 ‘Rain is now easing and is expected to clear the area later this afternoon’. One lane is closed and there is queuing traffic on the M53 northbound between Junction 3 A552 Woodchurch and Junction 2 Moreton Spur, because of flooding. #TeamEA are clearing debris screens in #Wirral & working with @WirralCouncil to keep rivers flowing and minimise the impact of flooding. 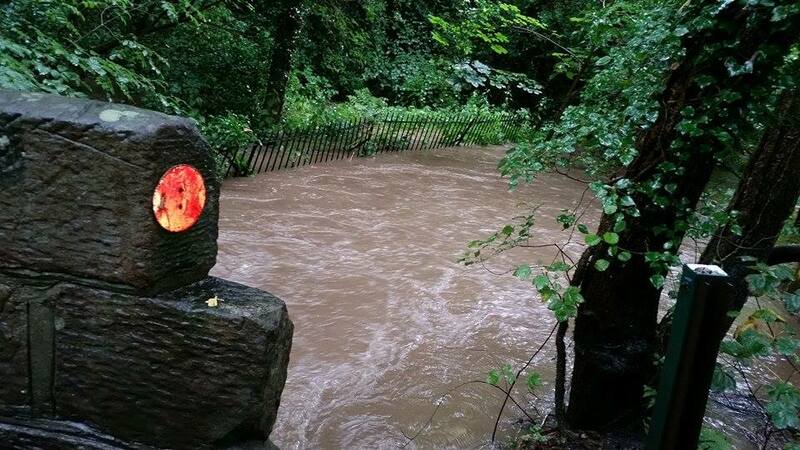 Wirral Council say Dibbinsdale Brook near Bromborough has “overtopped”. A council spokeswoman says it is believed some homes may have been evacuated near the brook and the council was workign to establish if that is the case. ‘On the way back from heswall I was diverted 3 times! The roundabout at the irby mill pub is closed in 3 directions’! 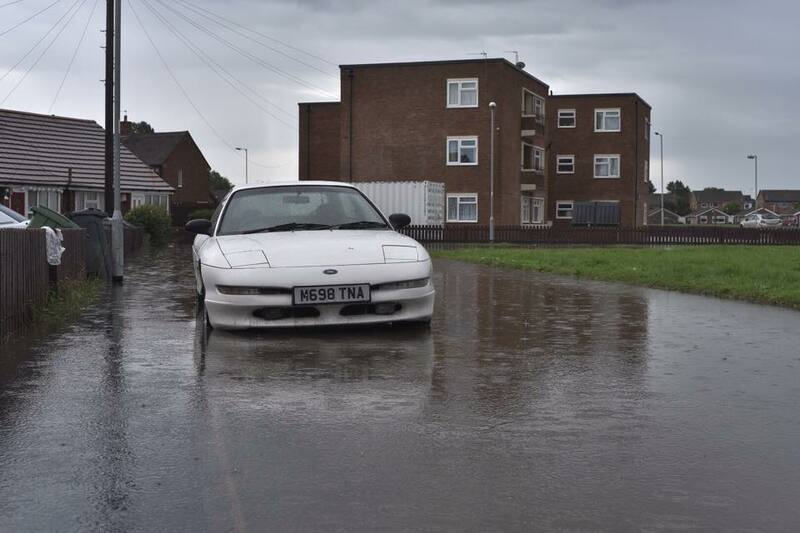 Brimstage Road in Bebington remains closed due to flooding. 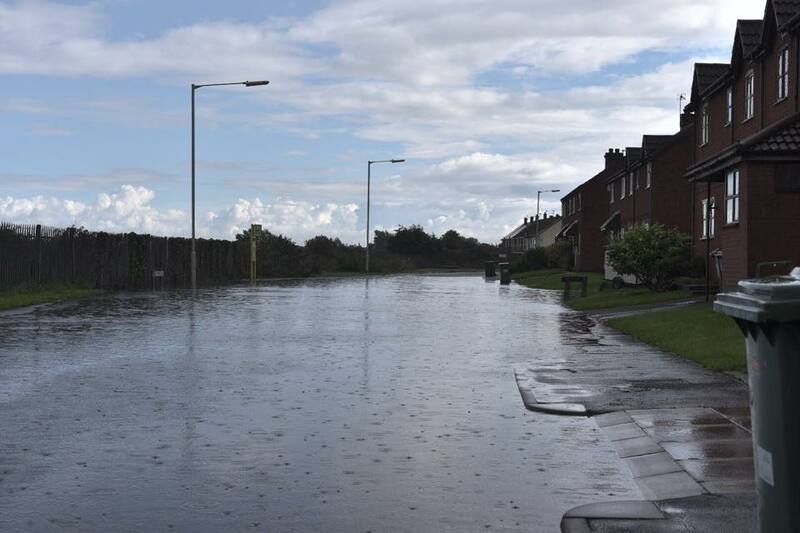 Neston Road in Heswall closed due to flooding near Parkgate Lane. 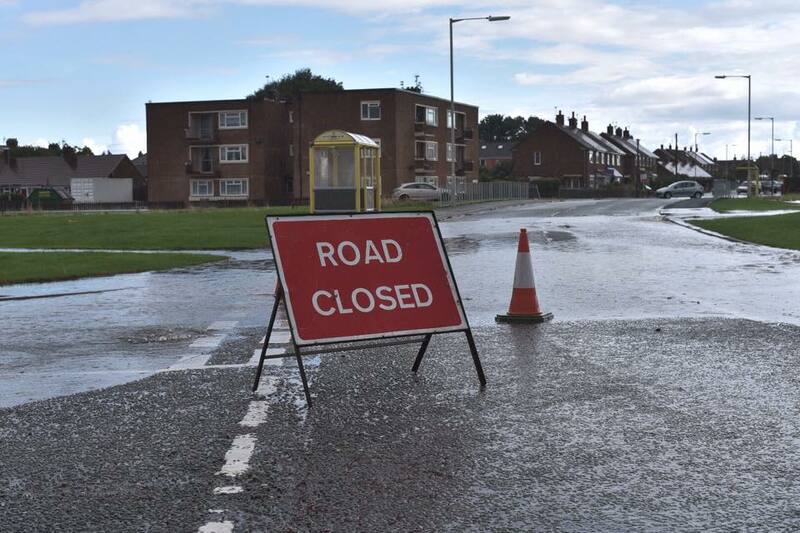 Bromborough Road in Bebington remains closed in both directions due to flooding. 487 only operating as far as Thornton Hough due to Neston Road being closed. Also delays and diversion to services 84 and 85. Parts of Millhouse Lane, Moreton & Brimstage Road,Bebington closed, causing disruptions to services 17, 17A, 419 & 487. 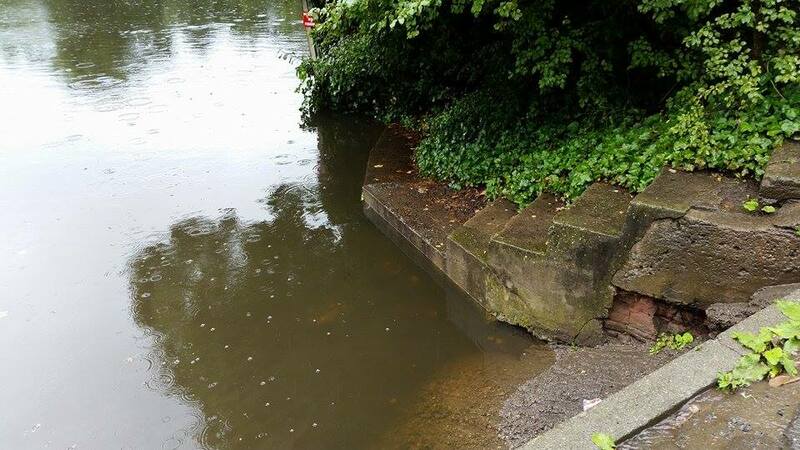 “Due to flash flooding at the entrance, the Prenton club is totally inaccessible this morning. All surrounding roads including the motorway are gridlocked. “We are working with the council and United Utilities to get this rectified as soon as possible. This means that unfortunately there is no access to the club at this time”. Millhouse Lane in Moreton closed in both directions due to flooding on Oakham Drive. Wirral Council have said: ‘We are working closely with our Highways Services Contractor, BAM Nuttall and focusing our attentions on high priority routes to ensure the roads are opened at the earliest opportunity. ‘However, this may take longer in some cases due to overspill from adjacent watercourses/fields etc’. 10:20am – Latest radar showing parts of Wirral still being battered by heavy rain. Stagecoach: “Woodchurch Road is flooded at the moment and we think there has been a RTA we are delayed by 10-15 mins”. Brimstage Rd, Higher Bebington closed. Some cars got stuck & needed fire brigade to pull them out. 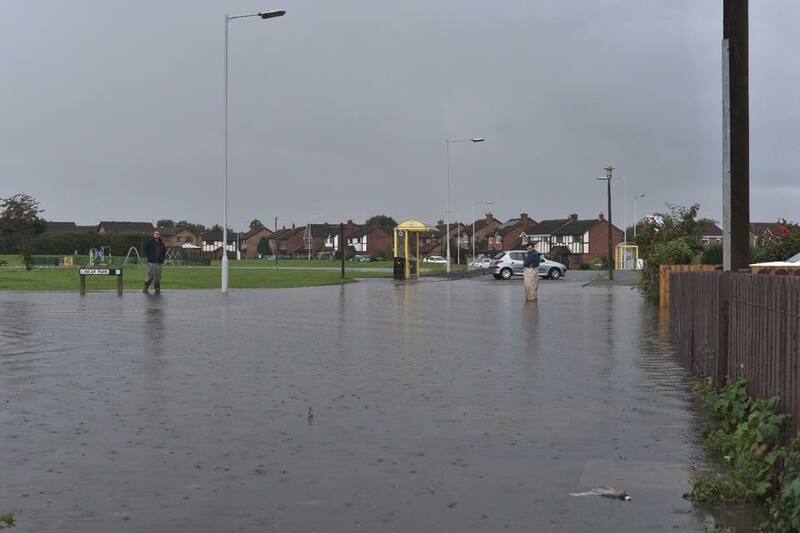 In Birkenhead – reports the A552 partially blocked and queueing traffic due to flooding at M53 J3 (Woodchurch). On the roundabout Neston Road in Thornton Hough closed due to flooding between Smithy Hill and Church Road / St George’s Way.